Which variety of beer was Rav Pappa brewing? The Gemara in Pesachim,2 where this exchange between Rava and Rav Pappa was also recorded, tells us that he was brewing date beer. Brewing beer was popular in Talmudic and pre-Talmudic times. As far back as Noach, wine ‘ארמח’, and beer ‘ארכש’ were beverages that were integral to society. Classic beer as we know it, with the classic ingredients barley, hops, water and yeast, was well known and preceded the Reinheitsgebot3 by thousands of years. In fact, when discussing which beverages were forbidden on Pesach, the Mishna lists “shaichar hamadi”, Median beer, which was produced from barley and was very much chometzdik and forbidden on Pesach. What about other fruit-based alcoholic beverages? As any good liquor aficionado will tell you, plants and fruit are no strangers to the liquor cabinet. Tequila, rum, Slivovitz and Cherrica are popular distilled natural varieties. Various liqueurs infuse fruits, ranging from esrogim to bananas. Senior of Curacao is a famous triple sec (orange liqueur) using the orange peels from Laraha oranges. How about apples? Indeed, ‘ye olde hard apple cider’ is a variety steeped in hundreds of years of British tradition; it even made its way to Jamestown in the late 1600s. With the introduction of Angry Orchard by Boston Beer Company, new age hard cider has made significant inroads in the contemporary U.S. beverage market. So what is hard cider? How does it differ from other alcoholic fruit-based beverages? To understand hard cider, a quick review of the fermentation process is in order. Fermentation, one of the Ribbono Shel Olam’s unique phenomena in nature, is a chemical process wherein an agent causes an organic substance to break down into more simple substances. In the case of alcoholic beverages, a fungus such as yeast is found in nature. In the case of fruit such as grapes, plums and apples, yeasts are found on the skins of the fruit which can convert the liquid sugar (e.g., apple juice) into carbon dioxide (natural carbonation) and ethyl alcohol. Fermentation is the basic chemical process for producing beer and hard cider; it is the basic initial step of liquor production prior to distillation. In the case of barley (beer) and other fermentable grains (e.g., bourbon, scotch, rye) many steps have to be taken in order to convert the starch of the grain mash such as barley, corn or rye into a fermentable sugar solution. Those steps are skipped when one ferments apple cider. Hashem has made the cider ready for fermentation after pressing the apples. The apple juice is ready for fermentation. The art of brewing is a skill not given to chance, and uniformity is critical in producing a quality brew. Although there are literally thousands of yeasts, not all yeasts are created equal and not all yeasts can be used to produce quality hard cider. This is probably why Rava was so complimentary of Rav Pappa’s brewing skills and ability to produce quality beer using the right type of yeast and quality ingredients. Today, with modern know-how, brewing yeasts are carefully selected to achieve a quality brew. Saccharomyces cerevisiae is the yeast variety used to produce ales, and saccharomyces uvarum is the variety used to produce lagers. Champagne and wine yeasts are used to produce quality hard cider, both of which require reliable kosher certification. Are all apples created equal? It is an astounding fact that there are 7500 varieties grown worldwide; 2500 varieties are grown in the U.S. and 100 commercial varieties are sold in the marketplace! Which apples do we pick to make the best quality hard cider? Historically, the answer is equally astonishing – of the 7500 varieties available, the best is the crab apple! Once the apples are pressed into cider, the juice is filtered and clarified. 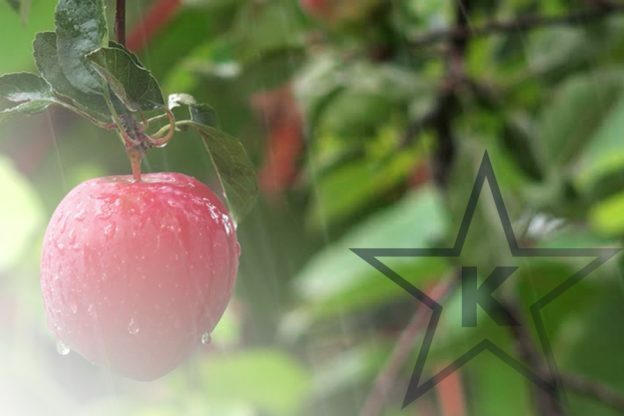 Although gelatin is a popular apple juice clarifier, no gelatin is used to clarify kosher Angry Orchard apple cider. As is the case with any beverage, all flavorings and processing aids require reliable kosher certification. What sets hard cider apart from other hard beverages is that it is a natural product with just enough alcohol to ‘gladden the heart’, a lower alcohol content than other hard beverages. Today’s hard cider varieties of apples are a balance between European bittersweets (e.g., Dabinett, Yarlington Mill, Tremblett’s Bitter) and U.S. domestic culinary apples (e.g., Gold Rush, Winesap, Gala, Fuji, Pink Lady, Cortland, Braeburn and McIntosh). Moreover, hand-picked flavors are also added to give hard cider enthusiasts unique taste experiences. Interestingly, in Talmudic times there was another critical health related consideration in making (fermentable fruit) date beer the drink of choice. The presence of pathogens in water made drinking plain water very dangerous. “Shaichar” (date beer) was a viable answer to the health conscious consumer and resolved those health issues, gladdening the heart while easy on the stomach. With all of today’s technological know-how, modern brewing expertise and renewed popularity, it can honestly be stated that Angry Orchard has become the pick of the orchard. ‘German Beer Purity Law’, a regulation limiting the ingredients in beer to water, barley and hops.